Some of you may not know that The Simpsons creator Matt Groening was hired by Apple to produce a number of brochures and posters back in the late ’80s. One of those brochures, entitled Who Needs A Computer Anyway?, has been making its way around the web since 2011. But some of Groening’s posters aren’t so familiar. 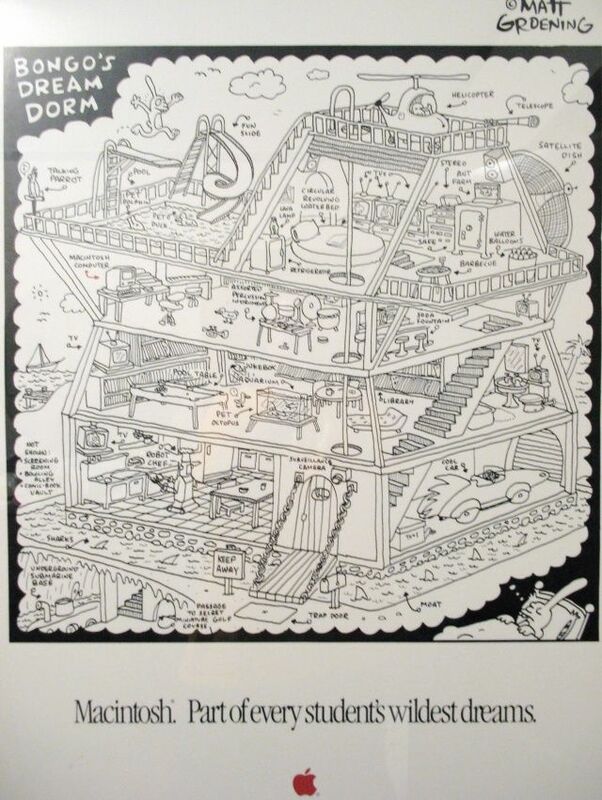 Networking in Hell, which is based around Groening’s Life in Hell characters, is one of them — along with Bongo’s Dream Dorm. Check them out below. Like the brochure, Groening’s posters were aimed at luring college students over to the Macintosh. At the time, The Simpsons hadn’t taken off, but Groening was known for his Life in Hell comic book, which was published from 1977 all the way up until 2012. 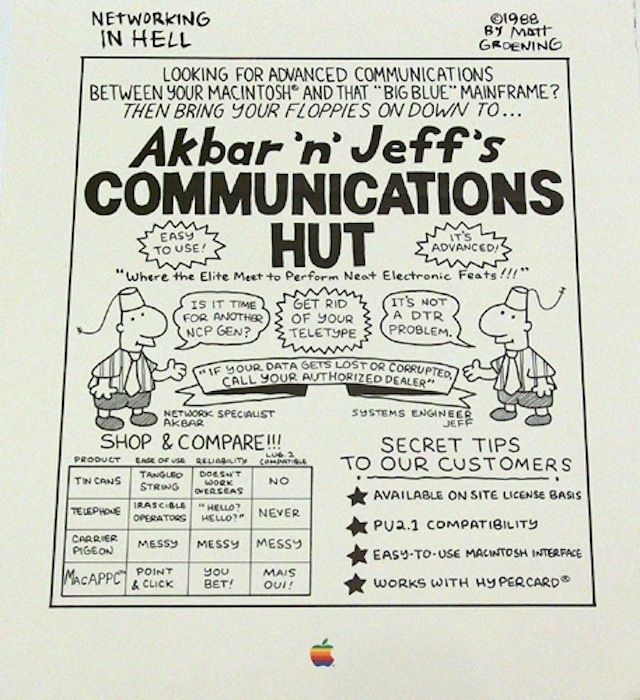 One of the posters Groening created for Apple, called Networking in Hell, used those Life in Hell characters. And according to VintageZen, Groening did it in exchange for a LaserWriter, an Apple laser printer that sold for as much as $7,000 in the late ’80s. Unfortunately, Groening’s relationship with Apple didn’t last that long. VintageZen reports that in the same year the posters were published, Groening launched The Simpsons — and we all know how successful that’s been.